❤-Outfits Set Include: 1pc headband+1pc Wrap cloth.Wrap cloth Size: 15.7* 39.4inch /40 *100cm. 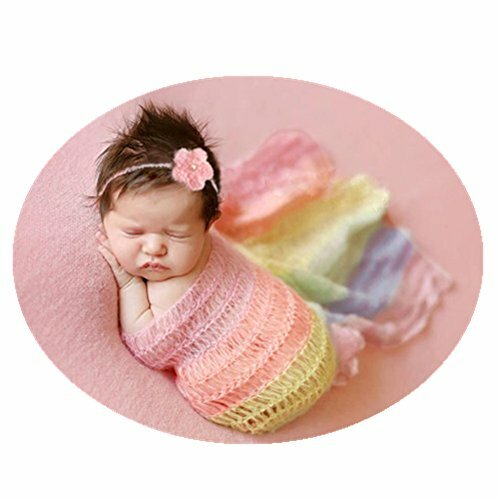 ❤-SUITABLE:Suggested 0-3 months baby wear(For Reference Only) ❤- MULTIFUNCTION: Perfect for memorable photography shoots, baby shower gift, and presents,Super Soft, Comfortable and Breathable ❤-Make your baby become more fashionable,attractive,beautiful,your kids will like it very much. Newborn Party Costume, Baby Photography Prop, Baby Photo Prop, Perfect for newborn party costume. This baby Photography Photo Props set is 100% handmade. ❤-Outfits Set Include: 1pc headband+1pc Wrap cloth.Wrap cloth Size: 15.7* 39.4inch /40 *100cm. If you have any questions about this product by Vedory, contact us by completing and submitting the form below. If you are looking for a specif part number, please include it with your message.